- Due to the last big correction, many investors are wondering whether we are still in a bull market in gold. - In my opinion, the gold bull is still alive and there are signs that the current correction is close to its end. - My thesis is supported by the fact that, despite lower prices of gold, there is no outflow of gold from GLD vaults. - Additionally, it looks like the current correction is within the range of largest drops in prices, recorded during bull stages in gold and should be perceived as a buying opportunity. In my opinion it is impossible to predict the stock market. However, it is possible to measure it and find interesting entry points. 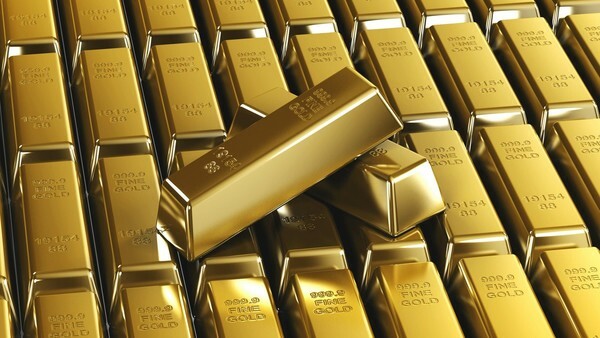 In this article I am putting a thesis that today's precious metals market presents a buying opportunity. Any divergence between GLD prices and GLD flows is indicative of something special and investors should be cautioned. The chart above shows two cases when something strange was happening. The first case was the period between April and October 2008 (marked in blue) when gold prices encountered a severe 50% drop. Despite this big move down, the investors were accumulating gold in GLD vaults (an ascending red line). The second case was the period between June 2010 and August 2011 (the area marked in yellow). Despite the prices of gold going higher, the amount of gold held in GLD was stable (or even going down slightly). In that period the investors were adding no additional gold to GLD vaults. In other words, higher prices of gold were not supported by the physical demand and, starting from September 2011, the entire precious metals market was sending bearish signals (the full-blown bear market started in late 2012). Assuming that the current bull stage in gold had started at the beginning of this year, there were two periods when GLD was reporting the outflows of gold from its vaults (the areas "A" and "B", marked in yellow). 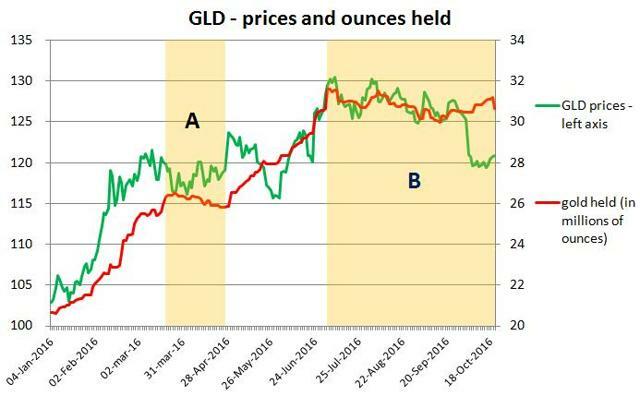 Each time when the amount of gold held by GLD stalled, the gold was trading in a narrow range or its prices were going down. The current correction (which started in July) is a typical phenomenon indicative of a severe correction. Look at the latest stage of this correction. Since late September the prices of gold have dropped around 8% but the amount of gold held in GLD vaults has not changed (30.6 million ounces in late September, compared to 30.7 million ounces as of October 24). Once again, there is divergence between the price action of gold and the amount of gold held in GLD vaults. Summarizing - the GLD data delivers assumption that what we see now is a typical, but severe, correction in the long - term bull stage in gold. The Philadelphia Gold / Silver Sector index (XAU) is a capitalization-weighted index composed of companies involved in the gold or silver mining industry. Although, in my opinion, GDX is a better vehicle tracking the price action of big gold producers than XAU, I am using XAU due to its long history (the index was established in 1979). In my opinion, the price action demonstrated by this index allows to identify interesting entry points. I am sure that every investor knows the rule that during a bull market the best buying opportunities occur on strong pullbacks in stock prices. 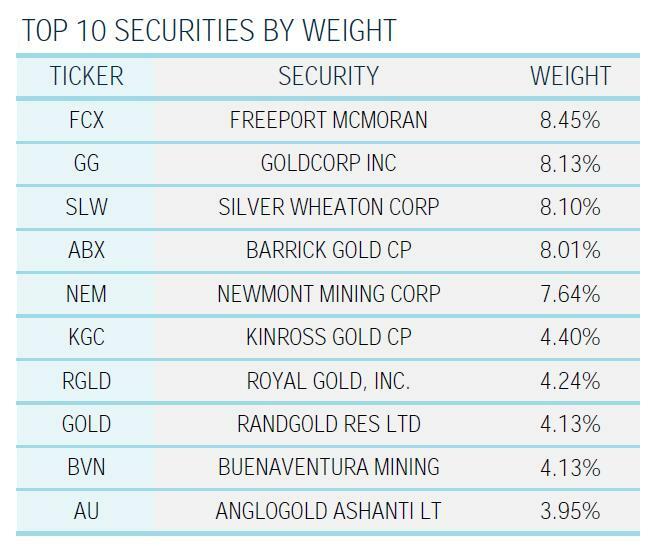 The precious metals market is no exception. However, there is a fundamental question - "How to define a strong pullback?" To do it, let me use a simple statistical method. First, I have to calculate a simple moving average. "Moving average is a widely used indicator in technical analysis that helps smooth out price action by filtering out the noise from random price fluctuations"
Let me use a 30-week simple moving average (I recommend to try other averages as well). The charts below show the last three bull stages in gold, starting from 2000. For each of these stages I have calculated the deviations between the 30-week moving average and the closing prices of XAU. "During bull markets in gold the biggest pullbacks bring XAU prices around 10% - 20% below the 30-week moving average"
In other words, a strong pullback is defined as a situation where XAU prices are 10% - 20% below the 30-week moving average. I am writing about the range (10% - 20%) because the depth of a particular correction depends on a bull market stage. For example, during the first bull stage (January 2000 - March 2008) the bears were able to bring down XAU prices as much as 20% below the 30-week moving average. During the second bull run (October 2008 - August 2008) the bears were much weaker and each correction was not larger than 10%. If I am right, during the current (third) bull stage in gold any correction to XAU prices should not be larger than 10% - 20%. Using other words, whenever we see XAU prices 10% - 20% below its 30-week moving average, such an event should be perceived as a buying opportunity. We are very close to the end of the current correction in precious metals stock prices and investors, interested in entering this market, may start buying. The last strong correction in precious metals sector has made many investors wondering whether we are still in a bull market in gold. I know there are no sure things in financial markets and the gold market is no exception. However, at least two events, discussed in this article, support the thesis that the gold bull is still alive and the last drop in prices is just a typical, strong correction.